October, the month we associate with warm autumnal hues, pumpkin spiced lattes and of course, Halloween. For most of us Halloween parties often conjure up thoughts of cheap sweets and plastic decorations but this needn’t be the case. 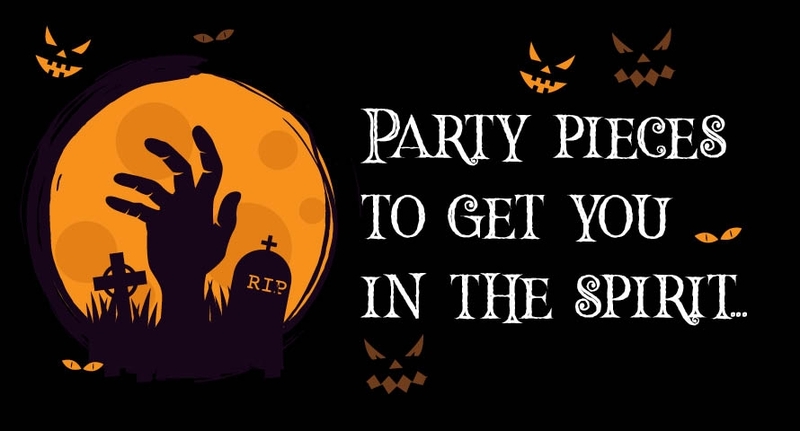 Tasteful and elegant with just the right hint of macabre, here at Dartington we’ve come up with a selection of party pieces to help turn your spooky Halloween bash into a night to remember. There’s nothing quite like the taste and colour of punch and there’s plenty of options when it comes to autumn and Halloween themed drinks. Turn a punch jug or punch bowl into an inviting focal point of the party with bright hues and enticing flavours. To help, we’ve found a roundup of 14 Halloween recipes that are sure to please and impress your guests. If you’re not a fan of Halloween punch and prefer whisky, why not pair a whisky glass with some 3D skull ice cubes for a ghoulish twist on a classic tipple? No party is complete without some wicked Halloween treats! Fill one of our Fortuna Dessert Bowls with spooky sweets coordinated to your theme, adorn our Wibble Centrepiece Bowl with candied apples and Halloween cupcakes or, make a non-edible feature by stacking mini pumpkins into one of our vases. If you’re looking to add a touch of colour to your evening, an autumnal themed flower arrangement can be a great way to go. 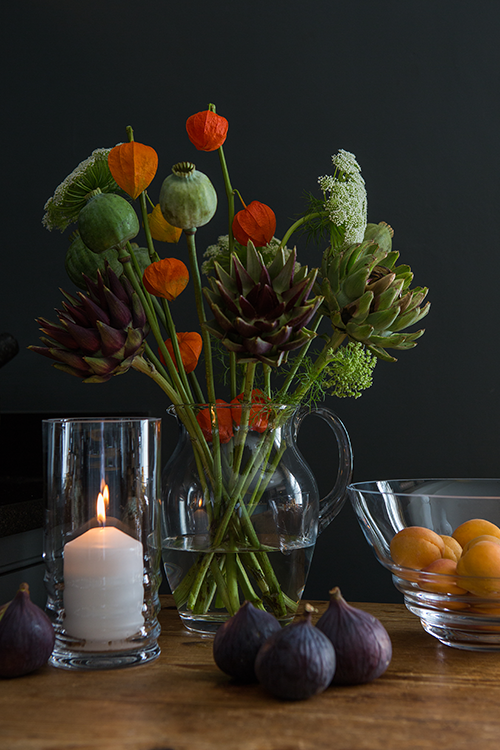 Go as overboard as you like, use them as a dining table feature or around the house. Of course, it doesn’t have to be autumnal colours, black and white flowers can also create a striking gothic feature and add some fake cobwebs for the ultimate spooky experience. There’s something about candle light that instantly creates a fantastic, freaky atmosphere. As with the flowers, you can add as little or as many as you like and again make a great focal feature on the dining table and around the house. Our Serenity Floating Candle Sticks go hand in hand with a ghostly Halloween theme and can be coupled nicely with the Wibble Hurricane Candle Holders. We hope we’ve given you plenty of ideas for your Halloween Party, but if you’re looking to get a head start in your preparations we have a fantastic competition lined up for you. 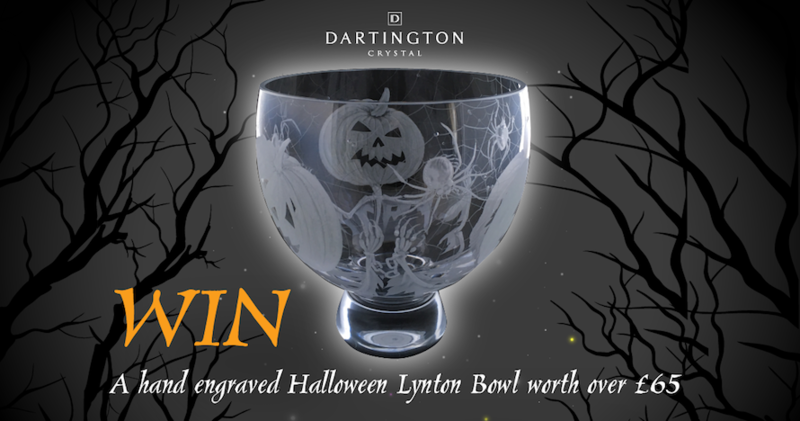 We’re giving away a one of kind Dartington Crystal Punch Bowl, beautifully engraved with an appropriately themed ghoulish Halloween scene! Head over to our Facebook page for details on how to enter.